Father's Day could be a painful day for me. I know it is for a lot of people. It can bring up disappointment, hurtful memories or maybe even no memory at all....Sometimes there's a blank space, a void, where they wish they'd had the presence of a father. Sometimes there's an overwhelming sense of loss, after a loved father has died. There's only one reason it isn't a bad day for me and that reason is my dad. Dad has always been there, no matter what. As long as I can remember he was there. He would humor me and sing Rudolph the Red-Nosed Reindeer to me in the middle of Summer at bedtime. He taught me how to play pickle with my brothers in the yard. He never tired of sketching twirling ballerinas for me on his yellow legal pad. He would never even get mad when I'd come in my parent's bedroom after a nightmare to wake him up. Poor guy, I would take my fingers and manually pry open his eyelids when he didn't respond to "Daddy!" He'd get me a drink of water and tuck me back into bed. 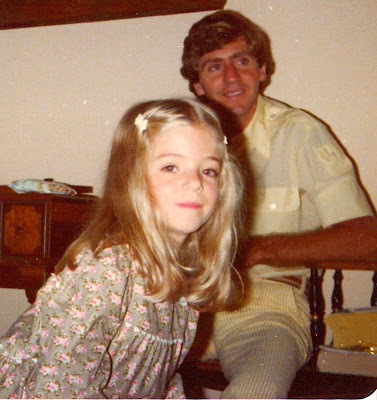 Unlike a lot of dads, he was rarely too busy to drive us to school or make our lunch, even if it was just his famous recipe of A-1 steak sauce on cream cheese atop a Triscuit cracker (very tasty, by the way). He made us our own skating rink in the backyard one Winter and allowed us to do risky things that would never have passed with mom. He is the most patient, generous, kind-hearted man I know. As I was growing up, I knew he was a good man, but I never knew just HOW good. Sometimes it takes the death of naivete and the lessons of life to show us the true value of someone who has always been there. It's easy to see who really loves you when the chips are down. When no one else is in the bleachers cheering. My dad has set the bar very high. He has taught me priceless lessons by his love and example. Not by what he's said, but by what he's DONE. 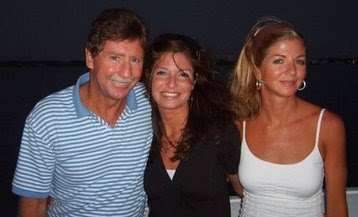 Dad with his "girls" now - my sister and me. I know there will come a day when Father's Day is a bad day for me. That day will be after my dad has passed on and I can't spend it with him any longer. But for right now, I want to appreciate the fact that he is here, just like he has always been. 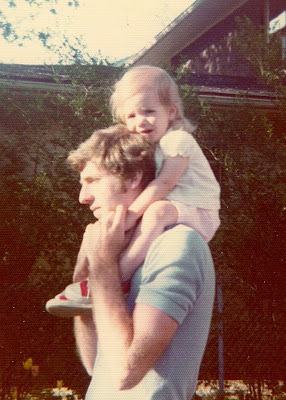 I am one of those few people who has had a dad who has always been both physically AND emotionally present. I'd be a disgustingly ungrateful person if I didn't realize what I have and cherish every moment I can with him. 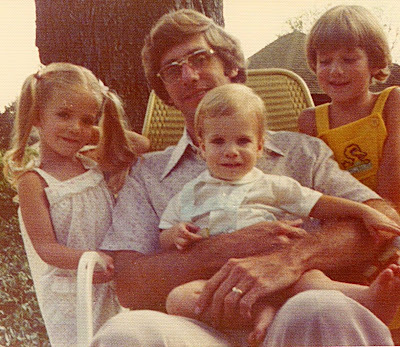 Thank you, Dad, for all your love, patience, prayers, gentleness and generosity. You have not only told me, but you have always shown me how loved I am.